Audi says it will embrace the future, with two advanced new Q SUVs and three e-tron battery electric vehicles as well as replacing five core models. Following a year that was impacted by the diesel crisis, Audi says it intends to push forward with its strategic transformation, the details of which have just been outlined to shareholders by the Board of Management at its Annual General Meeting in Neckarsulm, Germany. “We are rejuvenating our model portfolio enormously and will renew five existing core model series by mid-2018,” stated Rupert Stadler, Chairman of the Board of Management of AUDI AG. 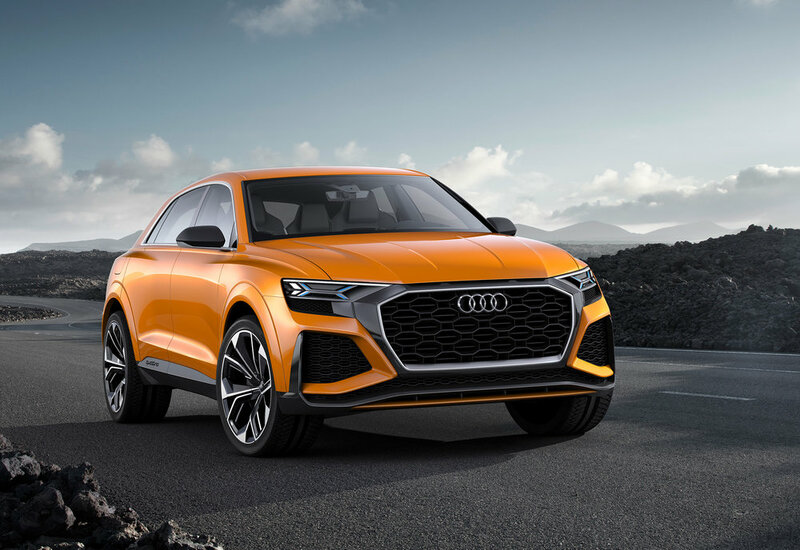 “In addition, we will expand our successful Q family by 2019 with two new concepts – the Audi Q8 and the Audi Q4 – and we will launch our battery-electric e-tron models.” Audi plans to launch three new electric models by 2020, after which the brand will gradually electrify models in each of its core series. Audi confirmed its focus this year will be on top-end models with the new generations of the Audi A7 and A8 - the latter will be unveiled at the first Audi Summit to be held in Barcelona on July 11. Audi has also agreed on a new development cooperation with Porsche for future vehicle architectures - including the development of shared premium architecture for electrification - to 'enhance the competitiveness of electric cars'. By 2025, Audi intends to achieve a proportion of one third fully or partially electric models in its unit sales. Audi will also take over the leading role within the Volkswagen Group in the development of autonomous driving. Autonomous Intelligent Driving GmbH is working on the technology for driverless vehicles in urban environments, which will be applicable in models of various brands. The technology is to be ready for application in a first small series of cars early in the next decade. In full-year 2017, the company intends to slightly increase deliveries of Audi-brand cars compared with the number of 1,867,738 automobiles delivered in 2016. In 2016, operating profit was reduced by €1.8 billion and operating return on sales by 3.1 percentage points due to special items in connection with the diesel crisis and Takata airbags.